Being the victim of a car or truck accident is a frightening experience. As a result, many people forget to take critical steps at the scene of the accident. What you do right after the collision occurs could have a significant impact on your future ability to bring forward a claim for compensation. Here are four things you should never forget to do when you have an accident. In the rush and confusion of a car accident, many people often forget to take photos of their vehicle until much later. However, getting photographs of your vehicle and the other driver’s vehicle can provide you with very valuable evidence for a future car accident claim. Take as many photos at the scene as you can, and if you are unable to, ask a friend or family member to take photos for you. While most people think to get the information of the other driver involved in the collision, they often forget to gather the contact information for witnesses that saw the crash. Witnesses can be an integral part of piecing together what actually happened in order to bring forward a claim for compensation. It’s easy to forget what exactly you saw or what happened after an accident. If you have a notepad or even a voice recorder on your smartphone, take notes about everything you remember about the accident. If you wait to write down what you remember, the details may not be as sharp later. If you pursue an accident claim, those details will become critical months down the road when you are asked to recount them in court. Having them recorded somewhere can ensure that you keep your facts consistent, even when they’re difficult to recall. Many people don’t think it’s necessary to contact a Florida auto accident attorney immediately after a collision. While an attorney can help at any point after an accident, even months later, it can be more beneficial for your case if you contact a lawyer right away. 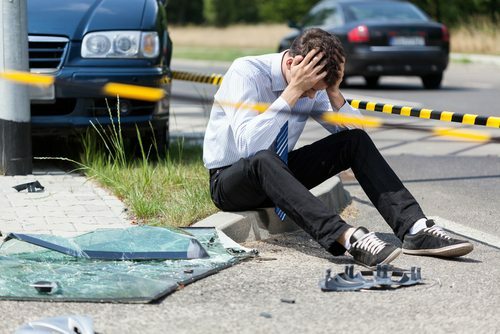 Your attorney can investigate the crash alongside law enforcement and the other party’s insurance company, can ensure that everyone involved follows all applicable laws and that evidence isn’t compromised. At the Slonaker Law Firm, we understand that being involved in an accident is disconcerting. We are committed to guiding our clients step by step through the auto accident claims process, and we will advocate for you to receive the full and fair compensation you deserve for your injuries. Contact us today for a consultation by calling 352-629-6656 or toll free at 888-629-6656.